The first generation Camaros have been popular since they went on sale in late 1966. 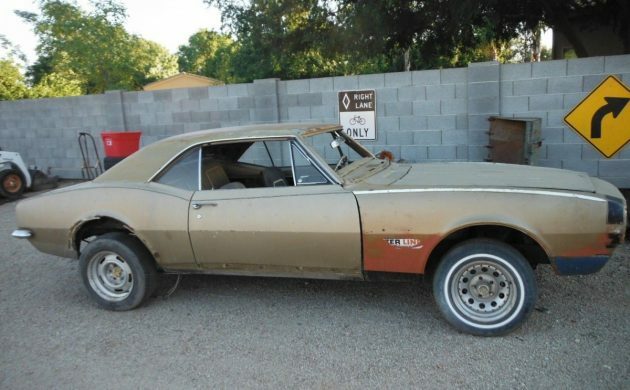 This particular car is a first-year 1967 and can be found here on eBay with an asking price of $7,200! Located in San Tan Valley, Arizona, the ad states it has a clean New Mexico title. I’m not sure if the asking price is realistic or not? Check out the rest of the article and let us know. 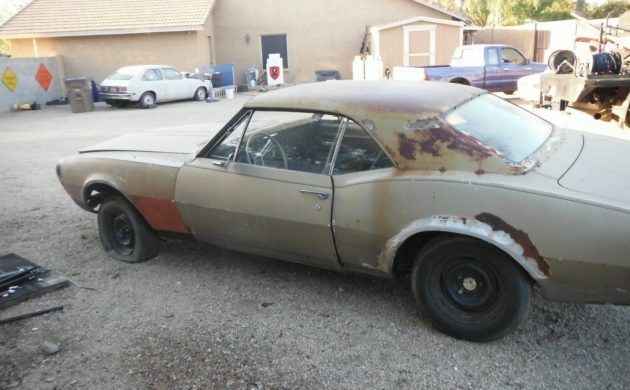 This Camaro was originally born as a 6-cylinder car but is currently without an engine or transmission. The Center Line sticker on the fender and rear wheel openings may indicate this was a racer at some point. 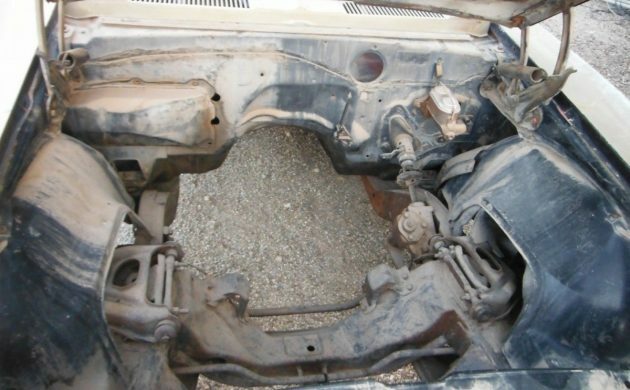 Having no engine or transmission leaves a blank slate for the new owner. Chevrolet has a ton of optional power plants. From a basic crate 350 c.i.d. to a monster 572 and everything in between. How about an LS engine? The sky (and budget) is the limit. The interior has seen better days. You can tell it has probably sat out in Arizona and/or New Mexico sun for a while. 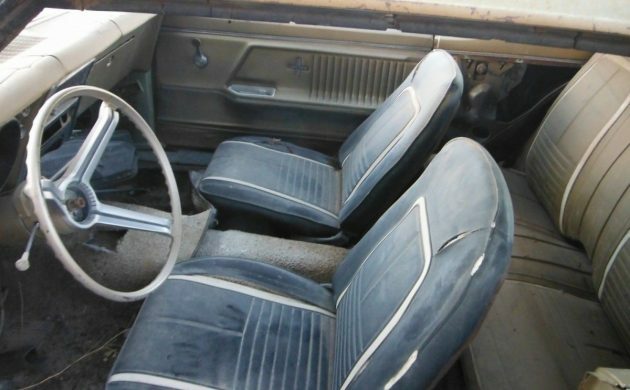 The dash is cracked and the interior is very dusty. The front seat coverings appear to be different than the rear. There are also some small bits and pieces missing, but there are a few photos showing parts in the truck, so maybe everything is there? 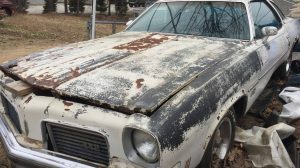 The condition of this car can be described as dusty and rusty. There is rust around both rear wheel openings and on the top. It appears there may have been a vinyl top installed at one time. Also, there is some light surface rust on other various parts of the car, but based on the photos, it seems fairly solid. The front fenders look like they may have been replaced, so a little more investigation is probably due to find out if this is a real Rally Sport. 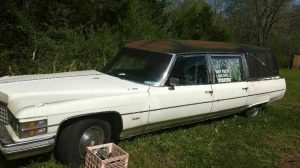 So, do you think this car is worth the $7,000+ asking price? $7K+!!! That’s insane! $700.00 would be more of a fair price. What is WRONG with people??? What’s even more insane is that some moron will probably fork it over to this dreamer. It’s just wrong. So very, very wrong. This hobby has gotten so far out of line it’s not even funny. I’m sure I’m not alone in feeling what certain auction house we all have to thank for this atrocity too. He is asking $7k because he knows someone will fork it over. The.value of something is whatever someone else will pay for it. It looks like a real RS, it has the right taillight and reverse lights. It’s more likely street weenie than race car. The rear fender flares are tacky, but were pretty popular in the 1970’s. They led to the death of many what would now be restorable cars when they went out of favor. You would see several cars with flares sitting in almost every neighborhood after they went out of style. You then saw them cycling through the local wrecking yards in the mid to late-80’s. 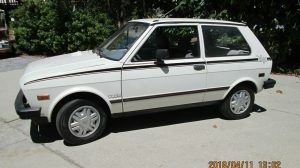 These were otherwise clean California cars, that had no value, due to the addition of flares since cleaner versions of the same cars were readily available and cheap. 3L = an L in the 3 option position denotes Rally Sport trim. Real Rally Sport. 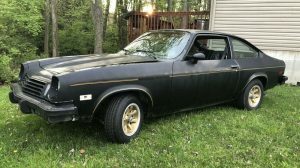 Seller doesn’t give a valid vin, but says it’s a six so probably was. The quarters look rusty, maybe from the flares but given the Ohio build, it could have come from the Midwest or east coast originally, likely not from the SW or west coast, where we received the Los Angeles plant cars. I paid around 5k a couple years back for a super dry zero rust original 1/4’s never rusty eastern Oregon car with no nose, so for a solid car (which it doesn’t appear to be?) 7k isn’t far off. Remember that a repop 69 body alone is close to 20k, and so far no one is popping 67 bodies. Why not put a six back in? A nice original restore job?? Wonder why it has both a column shifter, and a hole for a floor mount shifter? The asking price is ridiculous. There is nothing there except a ton of bodywork.